I don't know about you, but I have spent most of my adult life striving for Disney princess hair. More specifically Rapunzel's uber long (maybe not to my ankles but still long) glossy, bouncy, envy inducing hair. So let's be honest, the only reason Rapunzel's hair was like this with nothing but a bucket of water and a hair brush was because it was magic! If all I did was wash my hair with plain old water and brush it, then let it dry naturally, it would look like I had actually been pulled through a hedge backwards! Disney taught me many things that may not actually be true (if you sing to the birds they'll help you get dressed in the morning), but the biggest betrayal of them all was learning that if I spend all day in the sea, then brush my hair with a fork, it does not look like Ariel's! Once I got over this devastating blow (you never really get over that) I began learning what it takes for mere mortals like me to achieve the effortless, bouncy, glossy Disney princess hair. Spoiler alert: It isn't effortless, much to my dismay because I am, first and foremost, quite lazy when it comes to my hair. I feel like I have finally at the ripe old age of 27 found myself in quite a good place with my hair and the products I use to keep it looking its best with the minimum of effort. So without further rabbiting on, here are my top products that I simply couldn't do without. First up, a product I've been using for about 2 and a half years now, and I'm only on the third bottle! 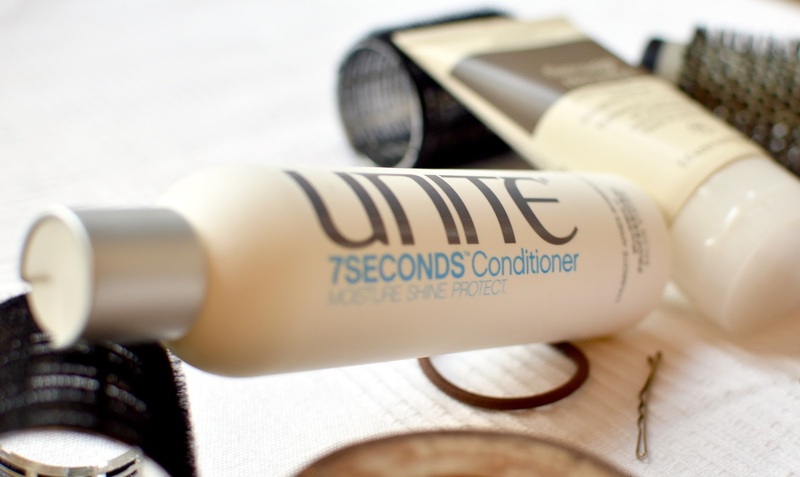 Unite 7 Seconds Conditioner. My hairdresser got me into using this stuff, and at £25 a bottle it isn't a cheap conditioner. Or so I thought! I only use about a ten pence piece amount through the mid lengths and ends of my hair, any excess left on my hands gets worked into the roots. On average, one bottle lasts me about 9 months (I wash my hair every other day to stop it from getting really dried out). 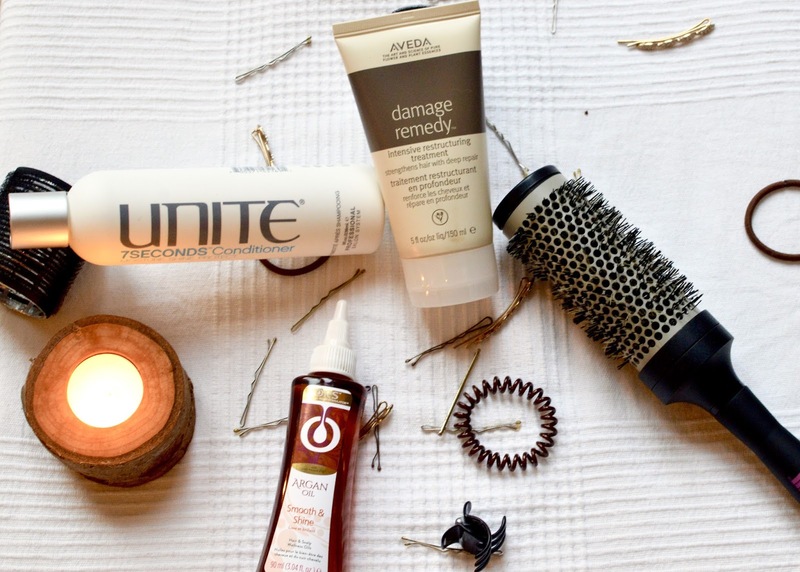 For years I have tried so many different conditioners to try and improve my dry hair. I have always found that although the top layer of my hair was smooth and soft, the bottom layers of my hair were always really dry and frizzy, and nothing I did made any difference. Within a few months of using this conditioner the bottom layer of my hair was so much better, and now I don't have that problem at all. 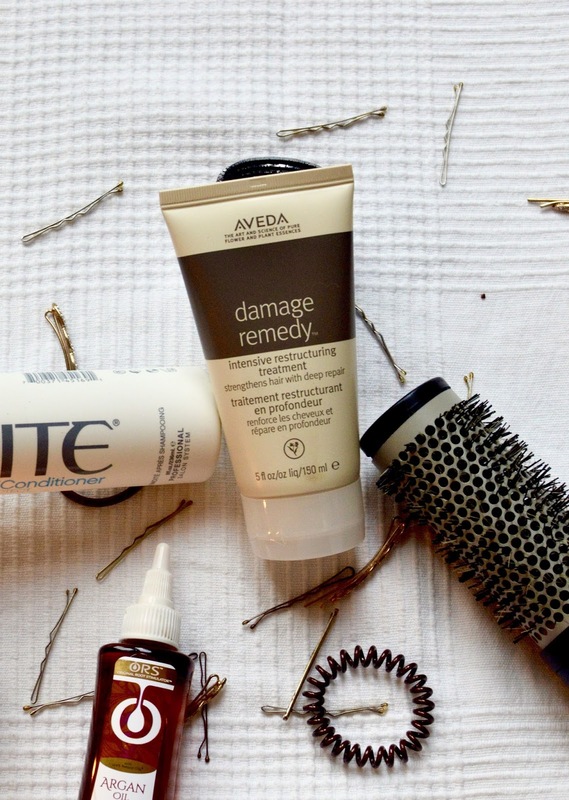 Next up is the Aveda Damage Remedy Intensive Restructuring Treatment. I use this in place of my conditioner once a week. Holy Moly is this stuff good! I'll leave it in for longer particularly when I'm in need of a hair cut and my ends are split and ratty, and it makes the world of good, breathing new life into my otherwise sad hair! Because I generally use it once a week, this also lasts me such a long time. I think my last bottle lasted me over a year!! So again at £29.50 a bottle it sounds pretty pricey but for how long it lasts it's actually kind of a bargain. It's also worth shopping around online a bit for this one, because it isn't a new product you can often find it on offer on places like Look Fantastic and Feel Unique. Also always worth checking John Lewis, with their "never knowingly undersold" policy they often have products online for bargain prices! 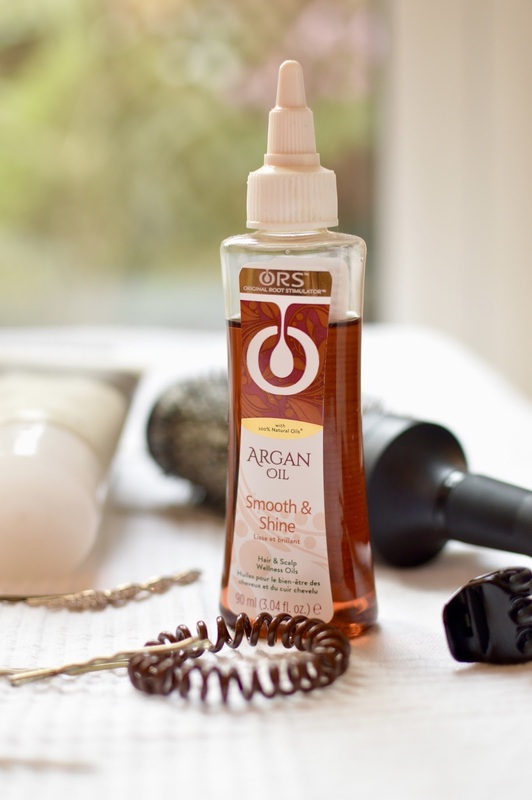 Last, but by no means least, the ORS Argan Oil Hair Treatment. 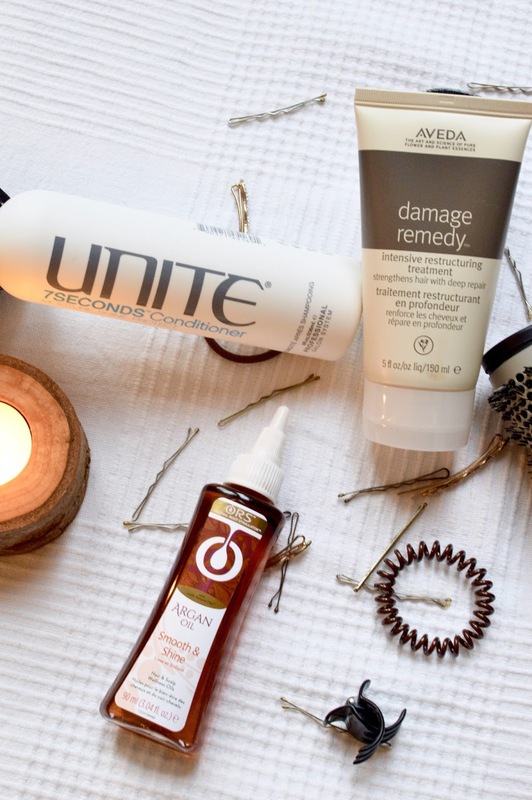 I used to use the Unite Argan Oil, but at £50 I was struggling to justify the cost, even though it was a lovely product and smelled incredible. I was in Boots one day and saw the ORS oil for £4! It is 100% natural oils (so has a slight nutty scent, which I personally don't mind at all but others might not be so sold on it) and can be used for a myriad of things. I use 4-5 drops rubbed over my hands and then worked through the mid lengths and ends of my hair after towel drying. I have found it really helps protect the ends from splitting, and leaves it with a lovely glossy shine when I dry it. I would suggest playing around with how many drops you need, as I've said my hair is quite dry so 4 drops is usually fine, so just find what works for you. I also use a small amount of this on my cuticles which are forever dry and I am forever picking at! I generally swap and change my shampoo quite a lot. I'm currently using Jason And The Argan Oil shampoo bar by Lush. Before that I was using Curly Wurly coconut shampoo by Lush. To dry it I'm pretty lazy, I usually brush it through and then blow dry it roughly straight, and then if I'm going to bed I'll tie it in a "pineapple bun" on top of my head so I have a bit of a curl giving it bounce and body the next day. This little trick came from Rosie - The Londoner's Blow Out Tutorial on her blog Here. If I feel like it I'll follow all her steps and do an actual curly blow dry, but as I said I'm pretty lazy with my hair. So there you have it my three favourite products that get me one step closer to beautiful Disney princess hair!